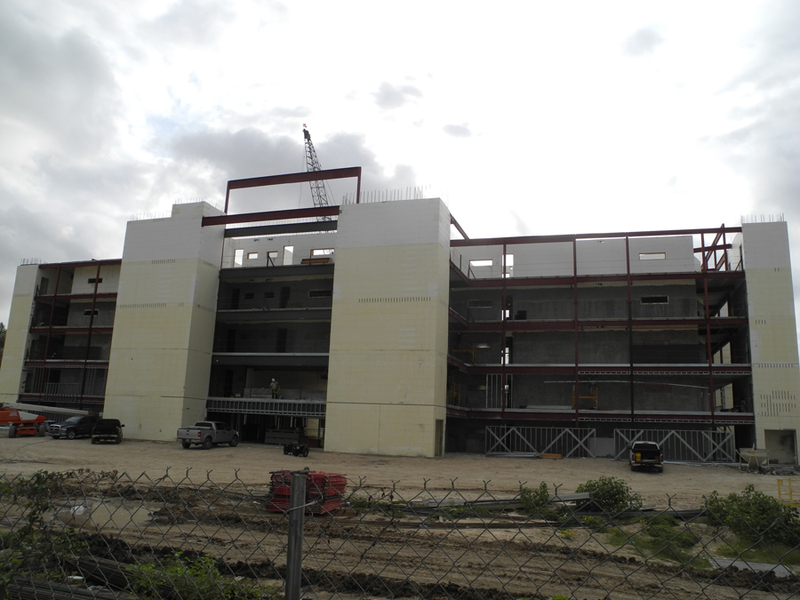 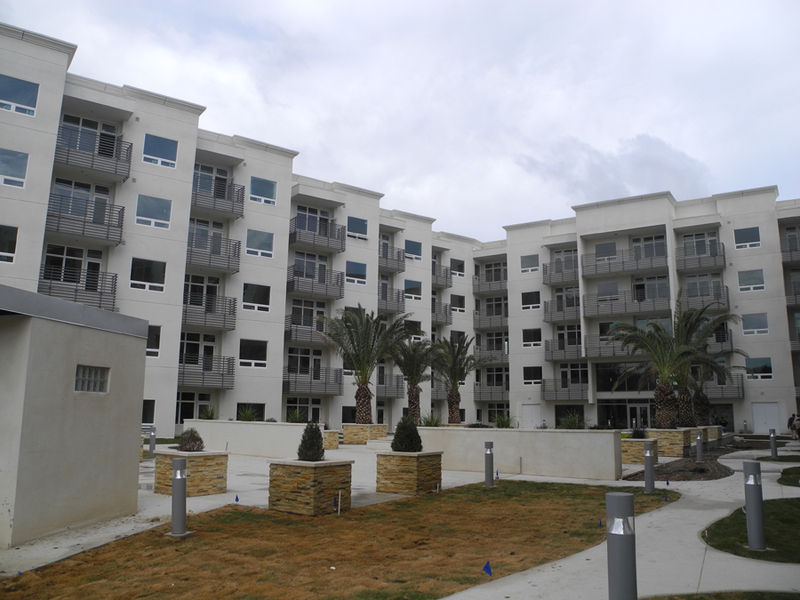 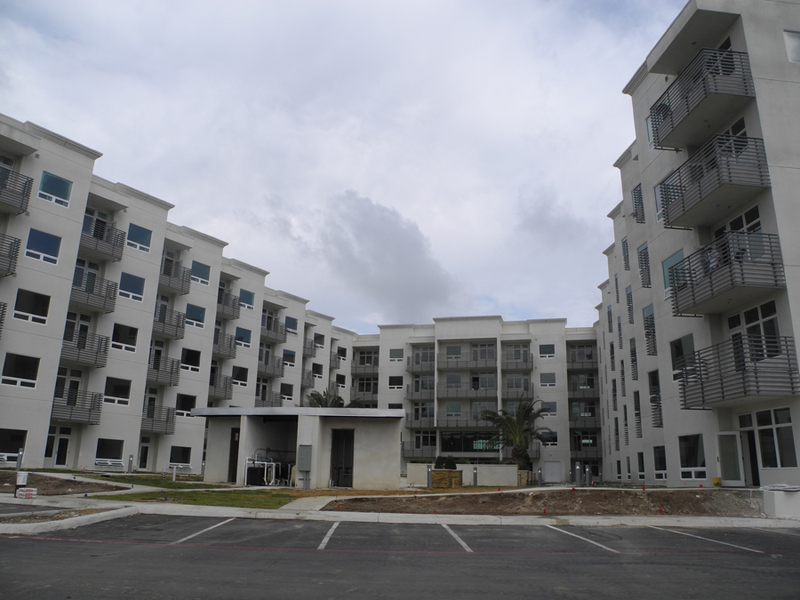 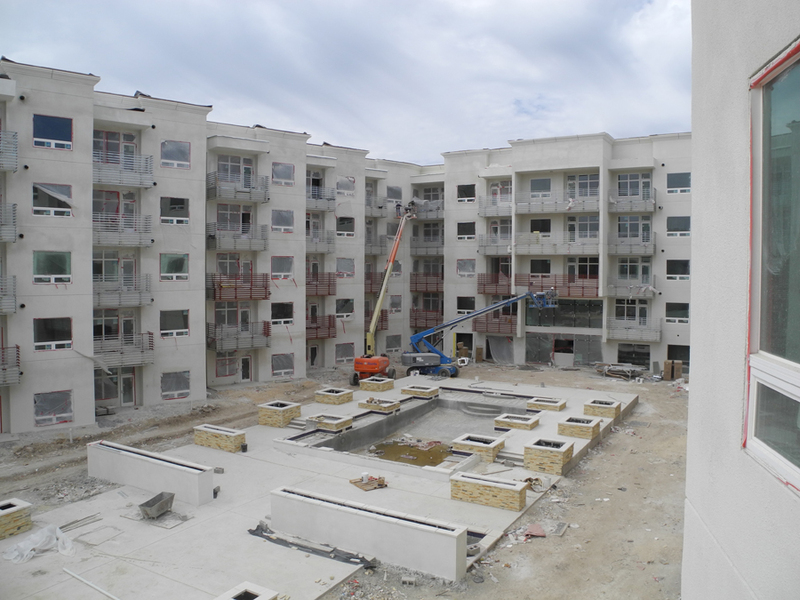 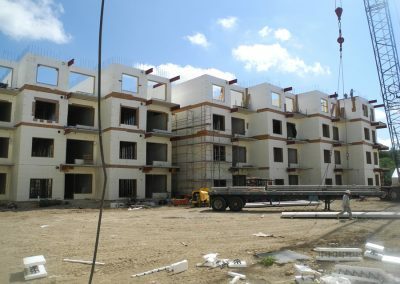 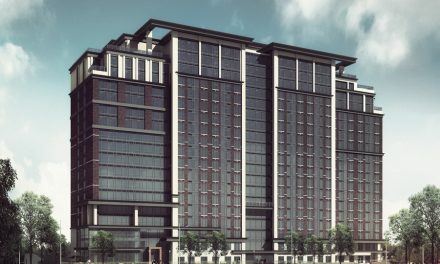 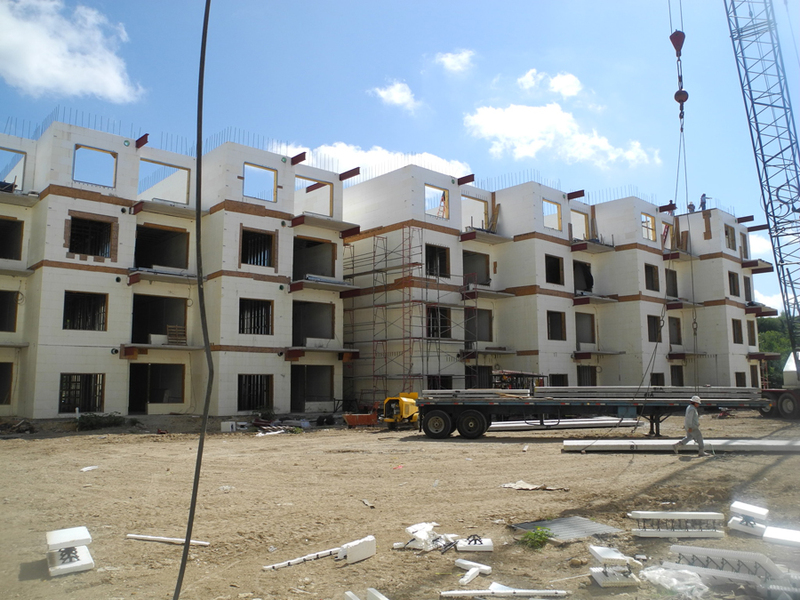 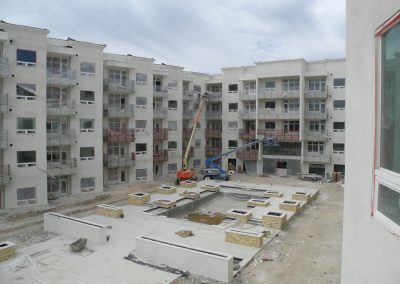 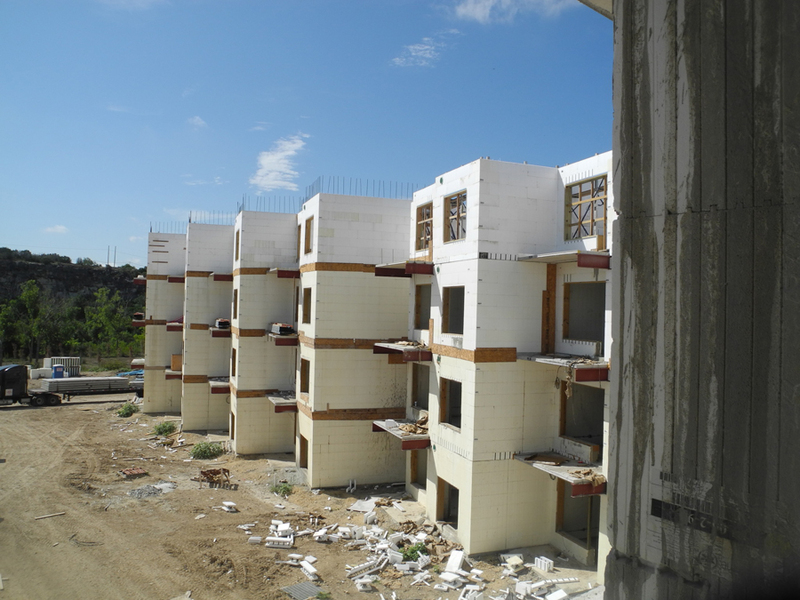 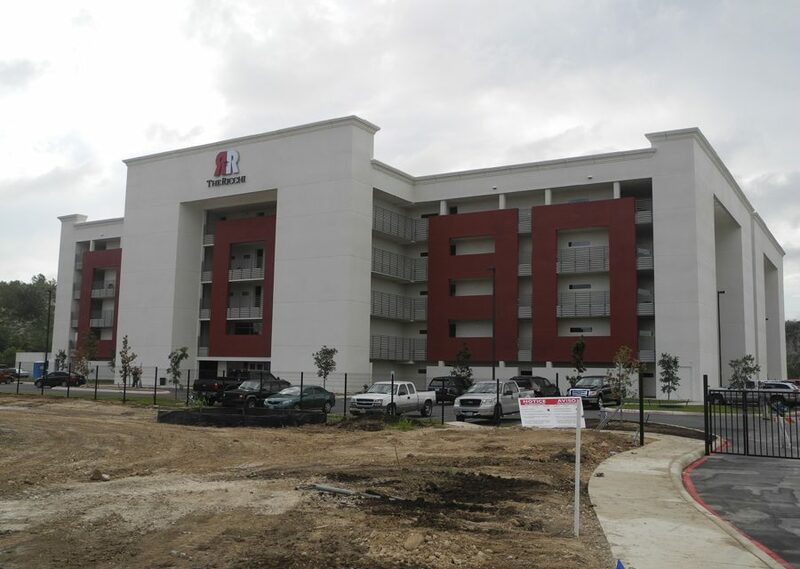 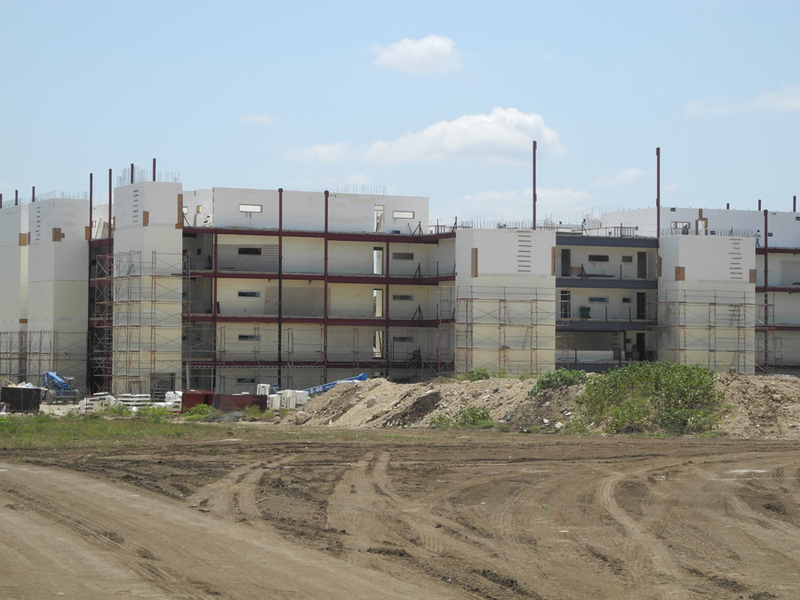 The Ricchi Condominiums in San Antonio, Texas, is a landmark accomplishment for the ICF industry in South Texas. 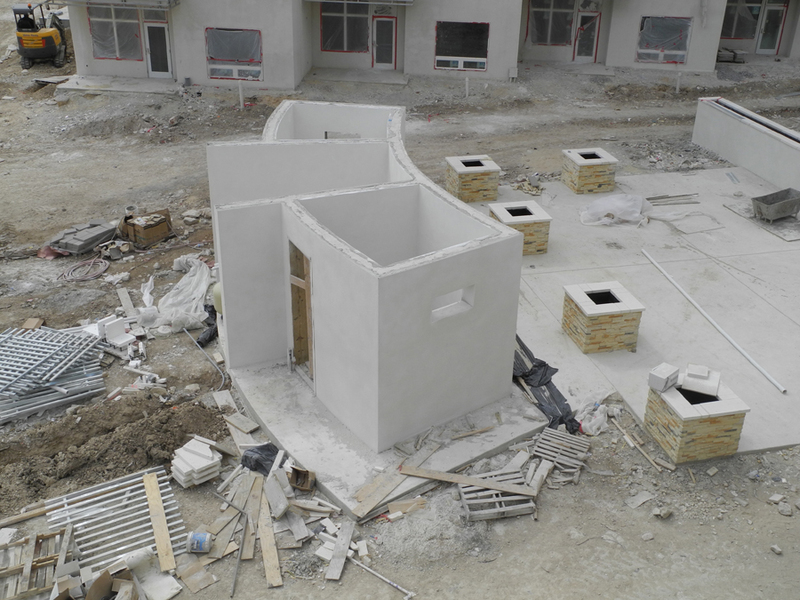 Even the poolhouse changing rooms involved radius ICF walls and multiple T-intersections. 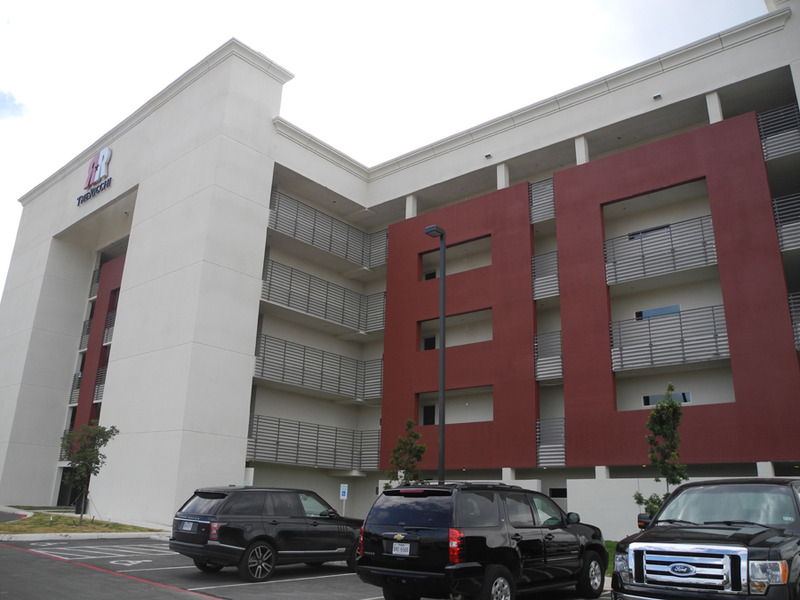 Developers wanted to provide a quality building to their buyers, so steel-reinforced concrete was an easy choice. The building is located directly below the flight path for airliners approaching San Antonio’s international airport and adjacent to a U.S. Army training camp, so noise reduction was a major concern as well. 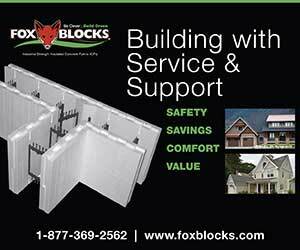 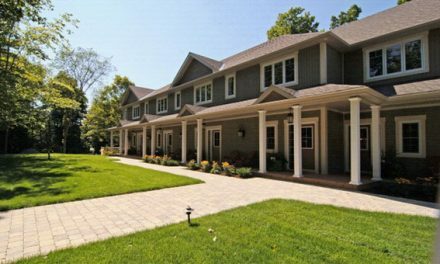 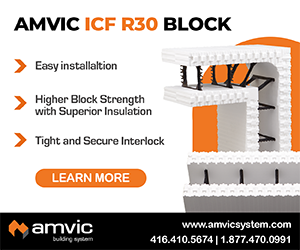 ICFs provided a solution to all those concerns and created significant energy savings as well. 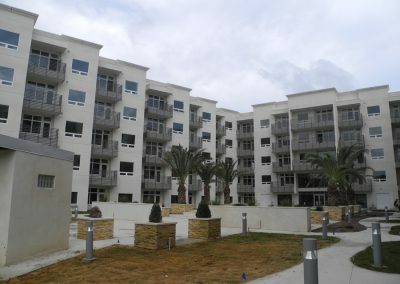 The architect designed the building in a way that every unit has a view of the natural landscape. 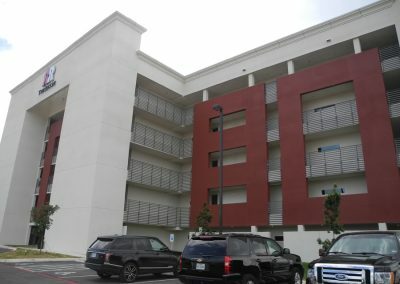 This had the additional benefit of visually breaking up the massive walls into smaller segments and creating individual condo entrances along the 225-foot-long corridors inside. 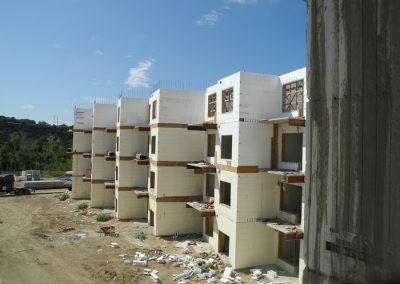 Designed so that every unit has a view of the natural landscape, it meant dozens of corners and hundreds of windows and embeds. However, that meant literally dozens of corners, which, combined with the hundreds of embeds and windows, made for an extremely complex and challenging project. 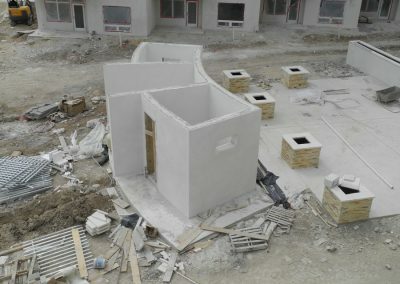 Even the changing room—located adjacent to the pool, two spas, and green areas in the interior courtyard—has radius and interior ICF walls. 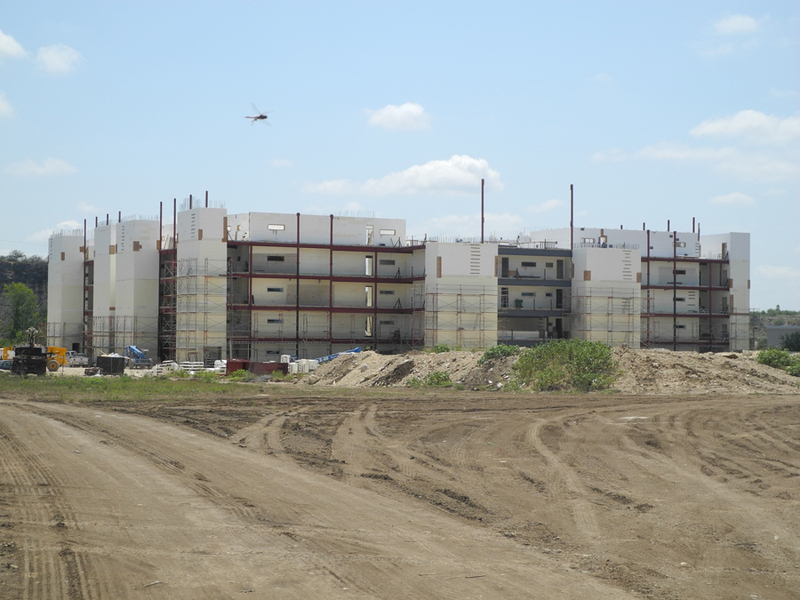 The higher insulation provided by forms reduced HVAC tonnage by 20%, resulting in significant energy savings. 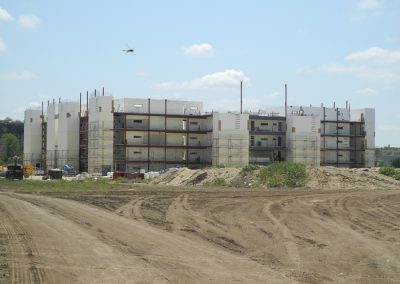 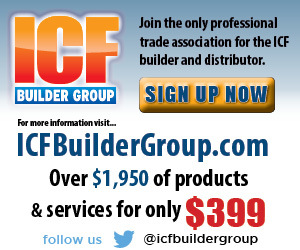 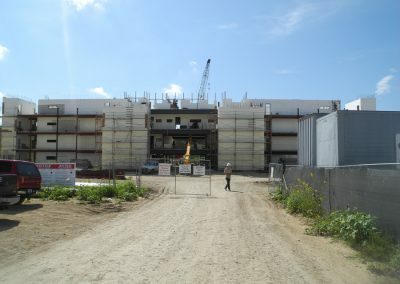 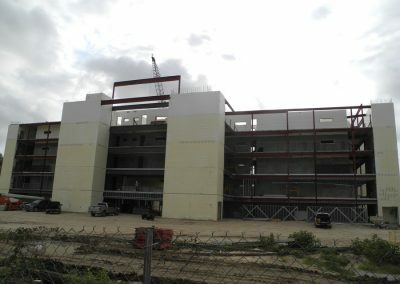 ICF construction methods also resulted in less waste at the jobsite. 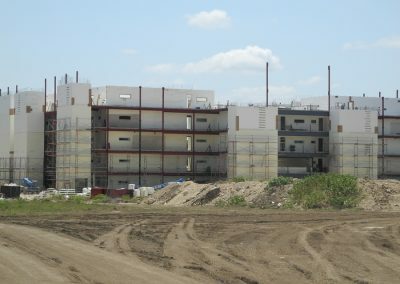 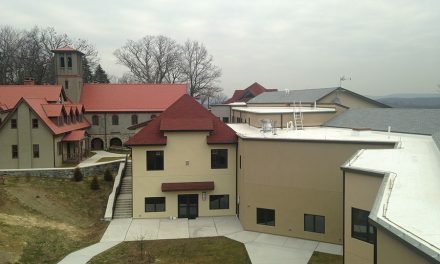 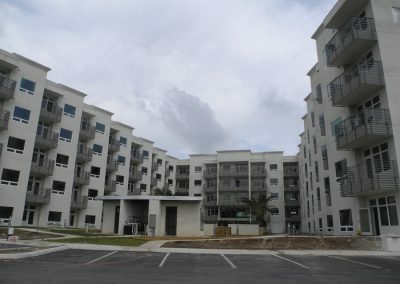 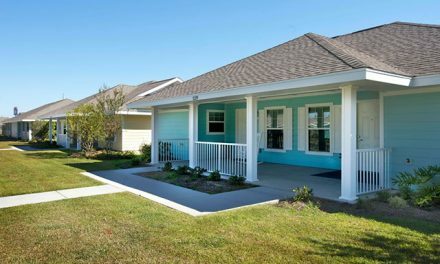 Completed in September of 2013, Batey reports that the owners are so happy with the final product, they’re already designing the next ICF projects.